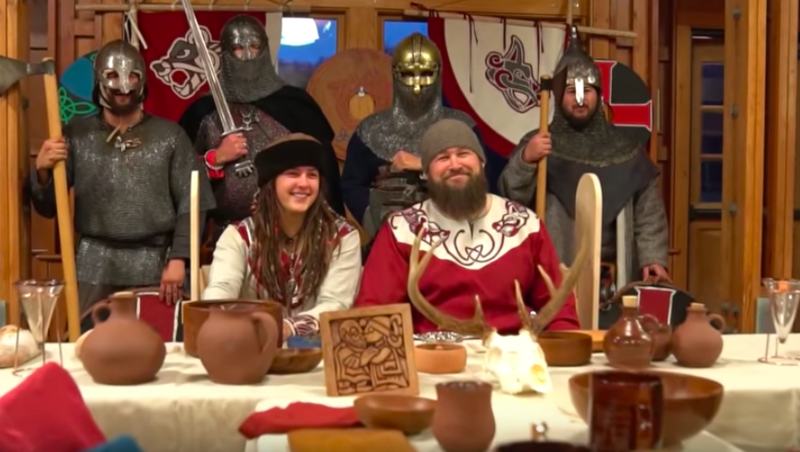 WWE fans know that Rowe and Logan’s enthusiasm for Viking culture and imagery extends to their wrestling personas, something the performers talk about in this video, as well. The couple reveals that this is a passion they developed together. Rowe describes them as “modern Vikings”, and says he lives “a modern life influenced by ancient Viking principals, warrior codes, warrior disciple…”, as the video shows Logan, Rowe, and their friends and family in traditional Viking garb. The wrestlers are shown using Viking weapons, participating in the marriage ceremony, and playing traditional games at the reception. 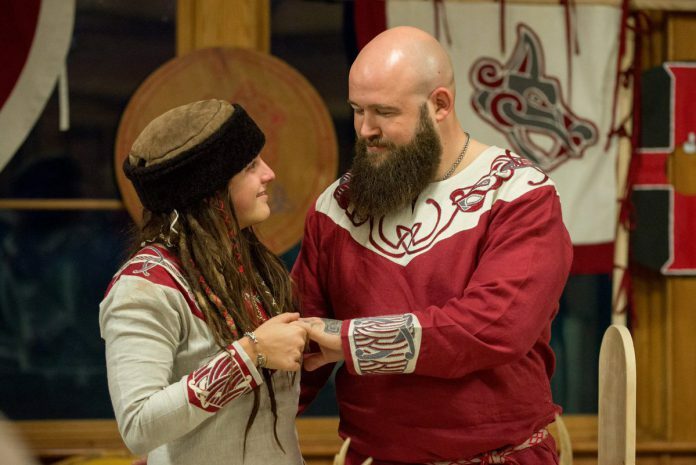 NXT Women’s Champion Shayna Baszler, Jessamyn Duke, Hanson Rowe, Tegan Nox, and Logan’s fellow Riott Squad members Ruby Riott and Liv Morgan, were guests at the wedding, and can be seen wearing Viking garb in the video, as well. Is it possible these two could join the ranks of real-life WWE couples in a future Mixed Match Challenge? If so, hopefully they’ll bring some of these swords.